My March reading experience has been rather interesting. I kicked it off with a read-through of the messy first draft of mine own work in progress. I ploughed through a good chunk of it during a retreat weekend at the start of the month, then finished it off over the ensuing week. I’ve already discussed my thoughts on that in other posts this month. I then resumed Guy Gavriel Kay’s Under Heaven and was churning happily through that when I got distracted… So, alas, I will have to tell you all about Under Heaven next month. What was I distracted by? Harper Fox. 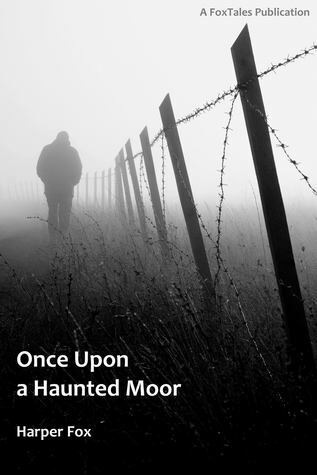 A Goodreads rating of Harper Fox’s Once upon a haunted moor appeared in my Facebook feed and the words ‘Bodmin Moor’ jumped out at me. Having recently spent time in the area, I was naturally intrigued and clicked through, then ultimately downloaded the novella to my Kindle. It’s a crime/love story set in a tiny village on Bodmin Moor in Cornwall where a child has gone missing. Gideon is the local cop trying to find the girl, not having much luck, when Lee, a psychic, is sent in to assist. After an awkward beginning, Gideon learns to trust Lee’s abilities and the two team up to solve the crime — falling in love in the process. The love story between the two men is sweet and hot too. I became completely invested in their relationship, so much so that I went straight onto the two follow-up novellas — Tinsel fish and Don’t let go. Tinsel fish is largely set around Falmouth, and Don’t let go at an iron-age burial site in West Cornwall. Both incorporate supernatural themes and progress Gideon and Lee’s relationship, bringing in their families and backgrounds a little more. It has to be said, though, that neither of the subsequent novellas hit the same heights as Once upon a haunted moor. The beauty of the first was the balance between the mystery and the love story, giving the whole story considerable depth and substance that’s not quite there in the others. Having said that, if you’re a romance reader, don’t miss them! Intrigued by Harper Fox by now, I also downloaded one of her more well known novels — Scrap metal. This one is set on the Scottish Isle of Arran. 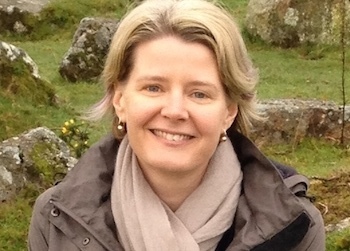 Nichol, a would-be linguist and academic, has been dragged back from the University of Edinburgh to work his ailing family sheep farm with his crusty grandfather after a family tragedy. His life seems pretty grim… when a young man on the run seeks refuge in his barn. Cameron has a huge secret, but they fall in love anyway. Of course. Being a full length novel, Nichol and Cameron’s relationship takes a lot longer to play out, but is all the more poignant for all that. (Again, sweet and hot!) It’s also the story of Nichol’s relationship with his grandfather, who had groomed Nichol’s recently deceased brother to take over the farm, and Nichol’s acceptance of his dual identity as linguist and farmer. 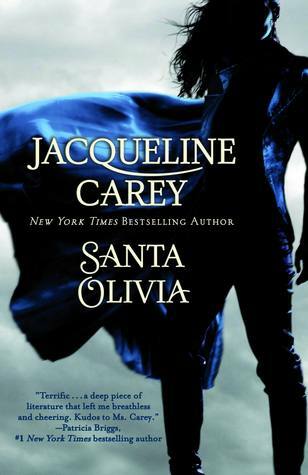 Over the past couple of months I’ve also been listening to Jacqueline Carey’s Santa Olivia on my MP3 player while walking etc (as opposed to the other Carey novel I’ve got going in the car). Santa Olivia is kind of dystopian science fiction, I guess. A genetically enhanced escaped soldier fathers a daughter, who inherits some of his ‘wolf-like’ enhancements. It’s set in a forgotten American town in a cordoned zone between Mexico and the USA, where the army holds sway and the people can’t leave. The only hope of anyone getting out is by defeating the army’s boxing champion. It’s hard to describe this story without telling it, because it’s one of those tales that builds up slowly and at heart the plot is rather simple: Loup (the main character with superhuman strength and speed) growing up and dealing with her differences, falling in love, avenging her brother. The characters — as can be expected of Jacqueline Carey — are all amazing. Unlike the other novels of hers I’ve read, which are written in first person, Santa Olivia is written in omniscient style and incorporates a great amount of narrative exposition (like most of her books). All the secondary characters are beautifully drawn with distinctive voices and traits. There’s a wonderful camaraderie experienced by Loup and the other orphans (the ‘Santidos’) who grow up under the care of the church of Santa Olivia. They’re friends, family, lovers all in one. There’s a lot of boxing and training too. And also the love story between Loup and one of the other female orphans, Pilar. Santa Olivia is very very different from Jacqueline Carey’s fantasy set in Terre D’Ange, which I love to death and admittedly do prefer, but I still thoroughly enjoyed listening to this book. So that’s my month of reading. What did you read in March? Harper Fox does write beautifully. I agree with some of the public reviews in that she’s probably not appreciated by enough readers, owing to the genre she’s writing in. Thanks for raising her to my attention! I hope you enjoy Santa Olivia. You could also check out her Dark Currents books, which I haven’t read yet, but they sound very much your thing! And while I have the platform, I will say that some of the best writing I’ve come across lately has been in the m/m romance genre, stuff that most mainstream readers don’t know about, which is too bad.